A couple of factory Engineering managers emailed me saying that the IRC is not allowing 24" vanities, 24" pedestal sinks and 24" laundry sinks to be used in new homes which means that a lot of floorplans with 1/2 baths and laundry rooms will need to be redrawn. I just heard from two factories that 24" vanities, 24" freestanding pedestal sinks and 24" laundry sinks can longer be used which is causing them to rework a lot of their standard floorplans. If it is, could you send me the info so I can publish it and make builders aware of it. In less than an hour I got a reply that clears up the matter completely. What you stated is partially true. A memo was sent from the Department to the third party agencies dealing with that scenario. It provides for interpretative text of what is in the 2009 IRC. The basis for making the notification was due to a home being built in violation of the requirements of R307 and P2705 of the IRC. The “partially true” comes into play in this fashion: neither the text of the code nor the Department memo says you CANNOT use a 24 inch vanity or pedestal sink or laundry sink. Those items can be used – but they cannot be within 15 inches, measured from the center of the fixture (fixture being the sink, not the base) to any adjoining wall or other fixture as stated at the referenced code sections. The violation occurred when a 24 inch vanity was installed with a full height on the left, back and right of the fixture. Measuring from the center of the fixture and having a 24 inch locked-in space only allows for 12 inches – not the required 15. A second violation occurred in the same house where a 24 inch vanity was installed in a corner, with walls to the left and back but open on the right side. Again, only 12 inches was there on the left side from the center of the fixture. From that same scenario the 24 inch vanities could have been installed with 6 inches of space on the sides of the adjoining walls – and they would have been in compliance. 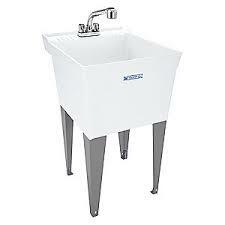 As for the pedestal sinks and laundry sinks they can be installed – but they must conform to the text of the code. If manufacturers are reworking floor plans to be in compliance then that is what is expected to take place. I am grateful to this person for their clear and concise answer to what could have made some Engineering managers go off in the wrong direction. 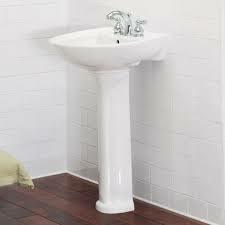 Fat people trying to wash their hands in a 24" sink is probably the reason for the code change. Next to change will be 30" interior doors and bath tubs that can't hold a 400 pound person. I see more fat people walking into my office wanting to buy a house than I have in the past 20 years. At this rate the floors will soon be concrete and every door in the house will be 36" wide. Coach, I don't have easy access to IRC. 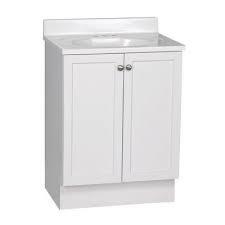 In the case of a laundry sink placed next to a washing machine, is the washing machine a "fixture"? Or is the washing machine an appliance, and the sink can be placed right up against it?